Goblanders received the name from goblin that has landed. It was during one of the great nuclear/ biological wars when strange spacecraft hovered low over a field in North America.The alien operators thought they found a dying planet. These aliens released on this planet male only creatures they hope would die from the radiation. The creatures released were goblin like creatures known in the time of the muffins as, goblanders. The earth nor the goblin like creatures died but survived. Because the earth revived and the goblanders thrived, the wilderness of North America has many of these wild creatures that can be dangerous. The R.A.S.H. Empire has found a way to make them multiply and trains them to fight for their wars. Each goblander can grow as tall as six feet. These creatures have grayish skin, redish or yellowish eyes. They have trouble seeing in the daylight and must wear dark shaded goggles in order to see, and they hate water. A goblander will drown in as little as one foot of water. Their blood is nothing like human blood and is yellow/brown. Goblanders have very,very sensitive ankles. A light blow to an ankle that would sting a human child will cause a goblander to fall to the ground in tremendous pain. DNA has proven a goblander is not related to man nor anything on the planet earth. 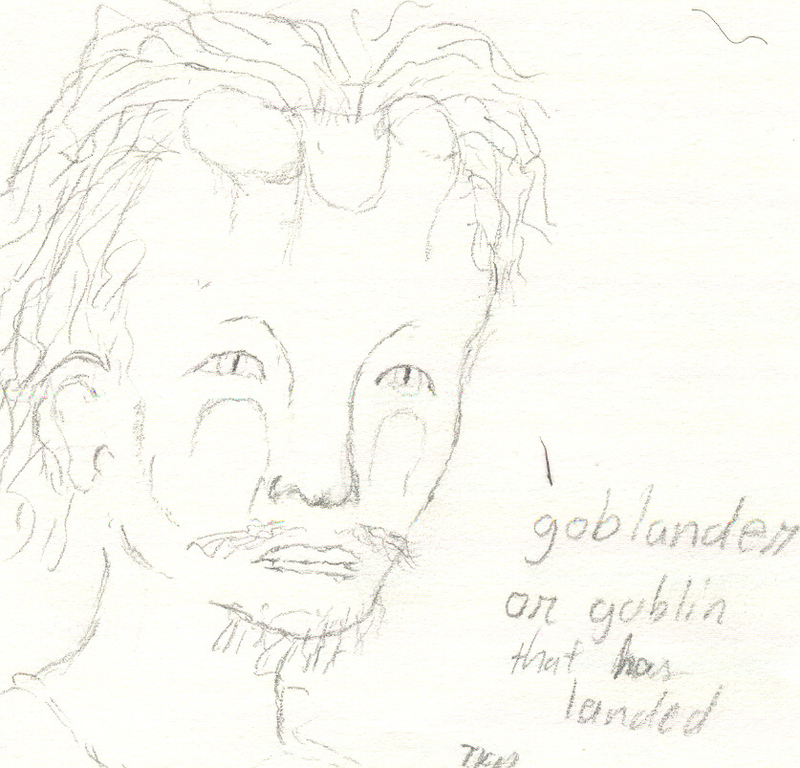 Press Here for a rough draft picture of a goblander.